For all you Battlefield 1 players out there, good news awaits with the Battlefield 1 Premium trials. If you are a Battlefield 1 player and do not own a Battlefield 1 Premium Pass but would want to have access to exclusive maps available to them, now is your chance. DICE made and announcement for the launch of the Battlefield 1 Premium Trials which is coming to us this month. 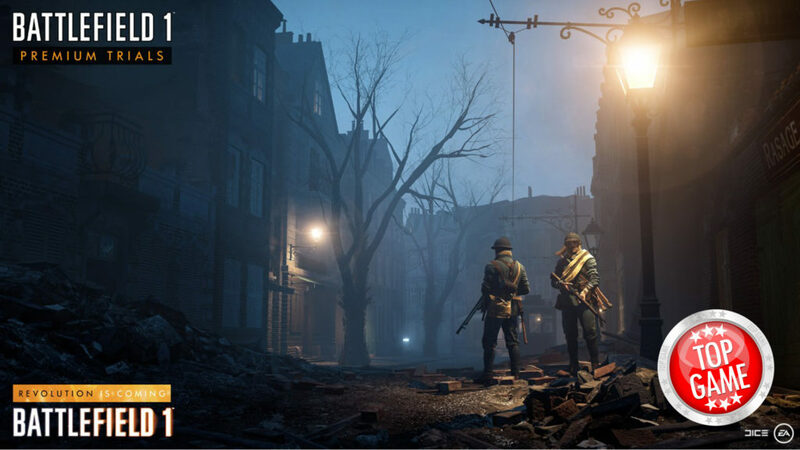 The launch of Battlefield 1 Premium Trials is on the same day as Prise de Tahure which is the trench-based urban night map. The premium trials period will give you access to four other maps in the They Shall Not Pass expansion as well as in the Nivelle Nights Map. Of course, these trials are only available for a limited amount of time only. But DICE did say that there will be more Premium Trials available in the succeeding months. One in August before Gamescom and another one in September. Do take advantage of this offer and get your copy of Battlefield 1 if you don’t have one yet. Remember you can get the best price for the game with our price comparison service. The Name of the Tsar Luklow Pass map for Battlefield 1 is coming out in August. The following month the expansion Name of the Tsar will be released.